NASCAR Acceleration Weekend is an unforgettable celebration allowing fans to touch the past and see the future of NASCAR. The relationship between NASCAR and Charlotte goes back decades. With the NASCAR Hall of Fame located in Uptown Charlotte and over 90% of NASCAR Sprint Cup teams based in the region, Charlotte is the perfect place for a race fan to spend a weekend. Celebrate the induction of Buck Baker, Cotton Owens, Herb Thomas, Rusty Wallace and Leonard Wood into the NASCAR Hall of Fame as the Class of 2013. This is your front row seat to history being made as these legends are officially enshrined. 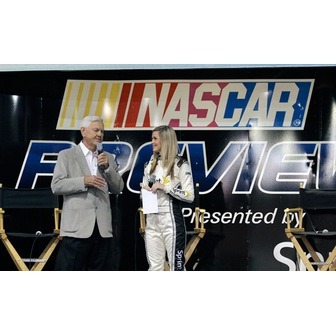 NASCAR Preview 2013 is a behind-the-scenes pass into the world of NASCAR. For only $20, fans can engage with their favorite drivers from all three national series; participate in driver autograph and Q&A sessions; be among the first to see the new 2013 NASCAR Sprint Cup cars and paint schemes up-close; visit the NASCAR Hall of Fame; and a host of other fan-friendly, interactive activities for fans of all ages. Wrap up your weekend with a visit back to the NASCAR Hall of Fame to see the reveal of the Walk of Fame Garden and be sure to visit the Class of 2013 Hall of Honor exhibits.